Welcome to April! Did everyone have a good month of March? One little joy we experienced this past month was the daylight savings time change. While most people saw the time change as losing an hour of sleep each night, we saw it as gaining an hour of peace before our son wakes up in the morning. It’s nice to slowly sip on a cup of coffee in the morning in silence. Advancing the clock forward by 1 hour also allows the sun to stay out longer, giving us more time to walk in the evening without it getting dark too soon. 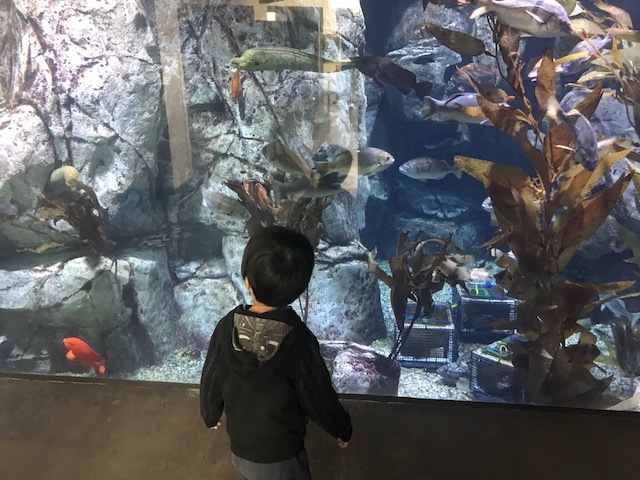 This month we took our son to the Aquarium of the Pacific in Long Beach. He had a blast running around the aquarium and closely observing all of the different sea animals. 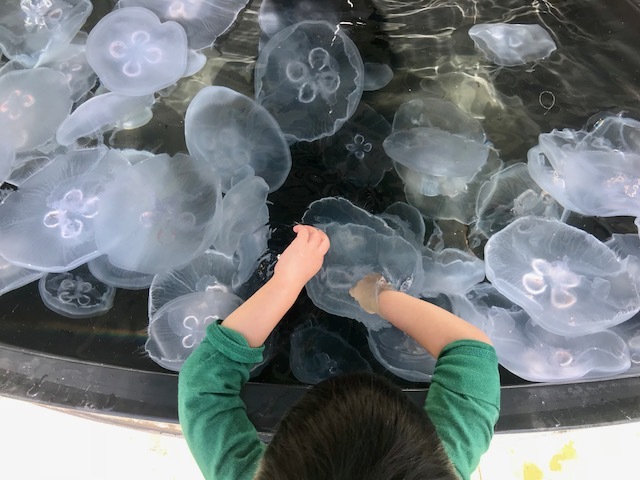 This was the first time he had a chance to dip his fingers into the touch pools to touch stingrays, small sharks and even moon jellyfish. He was so excited to touch those sea creatures that he almost fell into the pools! One of our big goals this year is focusing on preparing food at home instead of going out to eat at restaurants. Instead of going out 1-2 times a week to dine in or take out, this past month we only went out to eat at a restaurant 2 times. We are becoming much better cooks now too! Preparing all of our food at home saves us a ton of money, time, and fuel. It’s really not that difficult to do. Instead of buying things new, we now aim to find the same or similar products used and for sale. Our favorite websites to find deals on used items are Facebook Marketplace, OfferUp, 5miles, and LetGo. My wife recently purchased 50 baby clothing items for our newborn daughter for $20. 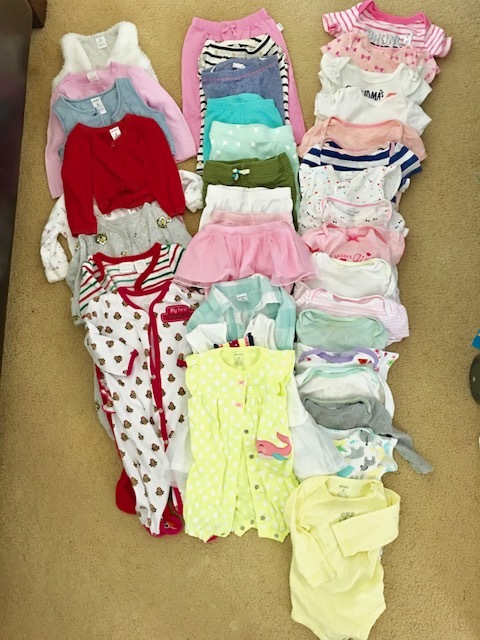 Most of these items were lightly used and some were even brand new with tags on them! My wife also found a deal on a Little Tikes children’s table and chair. Retail price is $44.99 but we purchased it for $12! 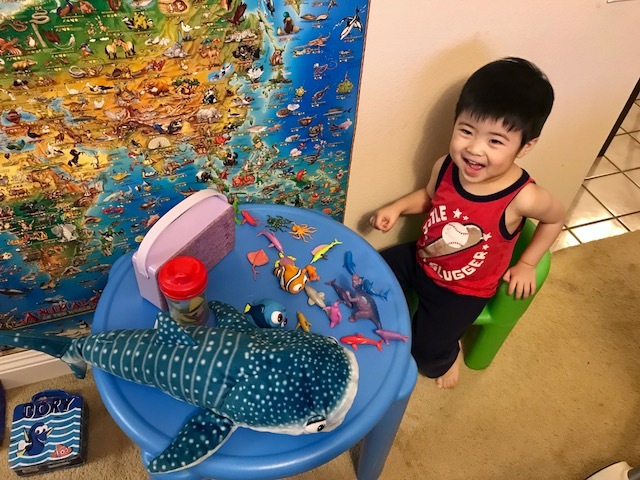 This table is perfect for our son for eating snacks and doing other activities. 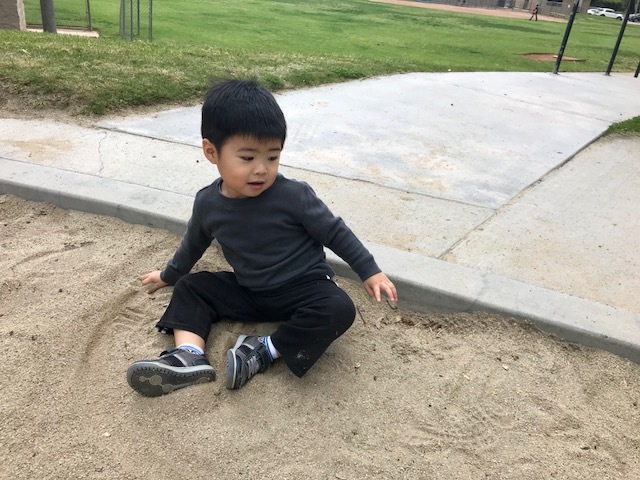 Our son is starting to talk much more than before now. He's slowly getting better at verbally telling us what he wants. 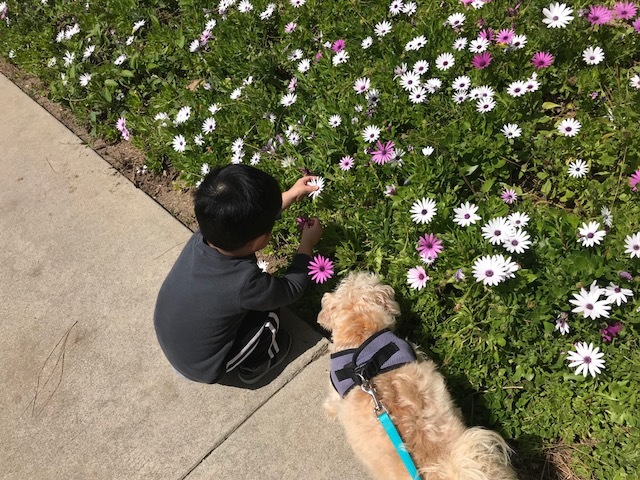 He still loves playing outdoors, running around, touching flowers, and playing in the sand. On 3.6, I received $10.23 deposit in my Discover Cashback Checking account. This is a 1% cash back on my mortgage payment for our rental property mortgage, which allows for debit card purchases. On 3.21, I received $10 total ($5 + $5) in our Chase Checking account for completing a spend bonus using Chase QuickPay. After sending $20 using QuickPay 3 times, Chase gave us two $5 credits. QuickPay is a quick and easy way to send money to friends between bank accounts, transfers are safe and instant. On 3.5, we received a net profit of $430 from our rental property. This new lease has a 100% increase in late fee amounts but no change in monthly rent. We hope this will help our tenants pay on time consistently. We’d rather receive rental income in a timely manner than collect extra income from late fees. On 3.5, I received a check for $162.50 for teaching at the local university. On 3.7, I received a $250 check for providing 4 hours of fill-in work at a colleague’s office. In the future when we retire, I’m sure I will participate in some part time work such as this to keep my clinical skills sharp and continue to take care of patients. On 3.19, I received a check for $1056.50 for healthcare consulting. On 3.1, I noticed ANOTHER bank charge that was incorrect on my new Chase Business checking account. The bank charged me ANOTHER $12 fee that was a mistake. Somehow the bank charged me an “insufficient minimal funds” fee that I wasn’t supposed to get. I called in and the representative on the phone quickly reversed the fee. I discovered the incorrect charges thanks to Mint and Personal Capital. The rep assured me that these incorrect fees would no longer be charged to my account. On 3.7, I received a $25 Amazon gift card by redeeming 5,000 Opentable points. We used to dine out often and make dining reservations with Opentable. Reservations are easy to make and you can earn between 100 to 1,000 points per reservation at a restaurant. The 1,000 point reservations tend to be for more expensive restaurants. 5,000 Opentable points can be redeemed for a $50 dining credit, however since we rarely eat out now, an Amazon gift card would be more useful for us. On 3.21, I received a direct deposit of $102.73 from Google Adsense. Thank you for your continued support! All of this totals $2,123.96 from our side hustles for the month of March. How much income are you bringing in on the side?